The occurrence of Cumulative Trauma Disorders (CTDs) and Repetitive Motion Injuries (RMIs) is increasing at an alarming rate, dramatically affecting today's workforce. The symptoms of these disorders develop slowly over time. Workers often ignore the discomfort, hoping it will resolve itself. 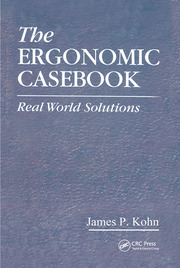 Eventually, productivity decreases due to pain and loss of function, and a previously productive worker suddenly finds that he or she cannot work as a result of the disability. Although this condition is discouraging, it is also preventable. 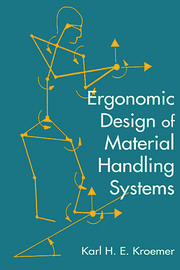 Ergonomics - matching the work environment to the worker's abilities and limitations - offers a promising method to control, manage, and reduce the risk of CTDs and RMIs in the workplace. 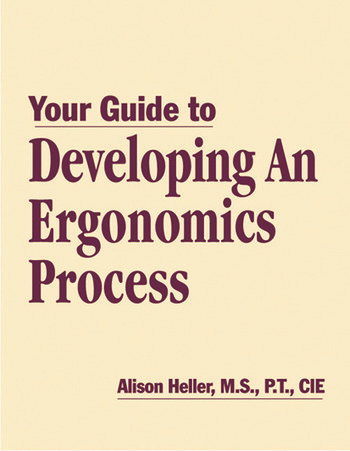 Your Guide to Developing an Ergonomics Process will assist in the process of reducing workplace injuries and illnesses related to cumulative trauma disorders and poor ergonomics. 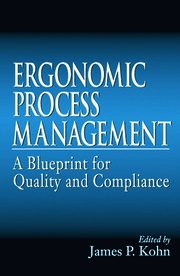 This valuable guide presents all aspects of a comprehensive ergonomics process, and outlines federal and state OSHA requirements. The program detailed in the text enables full participation at all levels of the organization - regardless of your experience in ergonomics. "…your materials have been 'reviewed, evaluated, and accredited by ORI as an appropriate introductory course…"
"These training materials have been accredited by the Oxford Research Institute as suitable and appropriate for Introductory Office Ergonomics Training…"